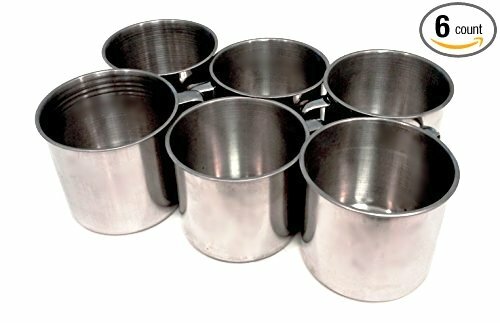 Sturdy yet lightweight cups/mugs ideal for cooking over a fire, collecting water or enjoying a hot or cold beverage. Great for stage props, parties or serious camping! If you have any questions about this product by Knights Of Armur, contact us by completing and submitting the form below. If you are looking for a specif part number, please include it with your message.